the excretory duct of the pancreas that extends through the gland from tail to head, where it empties into the duodenum at the greater duodenal papilla. The excretory duct of the pancreas, by which pancreatic juice is secreted into the duodenum. the primary secretory channel of the pancreas. Also called duct of Wirsung. Compare accessory pancreatic duct. The excretory duct of the pancreas, which extends through the gland from tail to head, where it empties into the duodenum at the greater duodenal papilla. Synonym(s): Wirsung canal, Wirsung duct. Johann G., German anatomist in Padua, 1600-1643.
pertaining to the pancreas. See also pancreatitis, diabetes mellitus, cystic pancreatic duct. occurs as a complication of acute pancreatitis or subsequent to pancreatic surgery due to bacterial contamination but is most common as an extension from a leaking gastric ulcer. the islets of Langerhans remain normal but acinar tissue atrophies and exocrine function is compromised. Seen most commonly in large breeds of dogs, particularly German shepherd dogs. Clinical signs are related to the exocrine pancreatic insufficiency (see below). alpha cells cells in the islet of Langerhans which secrete glucagon. includes acinar hypoplasia and congenital Islet of langerhans aplasia. beta cells comprise the majority of pancreatic islet cell population; secrete insulin. a diverticulum in the pancreatic duct like a gallbladder in the bile duct. Seen in some cats. cells in the islet of Langerhans with no known function. small concretions, 4 to 5 mm diameter, in the pancreatic ducts, caused by chronic inflammation. Seen, usually in large numbers, in cattle. anomalous obstructions of ducts, often associated with similar cysts in kidneys and bile ducts. cells in the islet of Langerhans; known to secrete somatostatin, and vasoactive intestinal peptide. one of the two excretory ducts of the pancreas. Depending on the species, it may unite with the common bile duct before entering the duodenum at the major duodenal papilla. Absent from the pig and ox which only have an accessory pancreatic duct (developed from the dorsal primordium) which opens on the minor duodenal papilla. See also bile duct. congenitally by agenesis of the duct, by pancreatic lithiasis or inflammation; causes initial distention followed by atrophy of acinar tissue. small masses of pancreatic exocrine or endocrine tissue found occasionally in the wall of the stomach or intestines and in the gallbladder; presumed to be functional. the exocrine secretion into the intestine includes amylase, endo- and exopeptidases, and lipase. The endopeptidases include trypsin, chymotrypsin and elastase, the exopeptidases are the carboxypeptidases A and B.
insufficient secretion of digestive enzymes, usually due to loss of acinar tissue from idiopathic atrophy or acute or chronic inflammation, causes maldigestion and malabsorption with diarrhea, steatorrhea and weight loss. a sequel to pancreatitis, pancreatic duct obstruction, zinc poisoning. a gastrin-producing tumor arising from the delta cells of the pancreatic islets that causes hypergastrinemia, hypersecretion of gastric acid and ulceration of the upper gastrointestinal tract. Occurs rarely in dogs. See also zollinger-ellison syndrome. physiological response to diets high in protein and energy. islets of cells scattered through the pancreas; contain alpha, beta, C and D cells. enzyme released from the exocrine pancreas; catalyzes the hydrolysis of dietary lipids in the presence of bile salts. See also lipase. hard, pale elevations on the surface of the gland; involve only the exocrine tissue; common in old cats and dogs; cause unknown; no discernible effect on patient. secreted by the pancreas into the blood but has no apparent function. A, A branch-duct IPMN with extension into and dilation of the side and main pancreatic ducts. 64% (n=7) had pancreatic duct contrast injection (table-II). 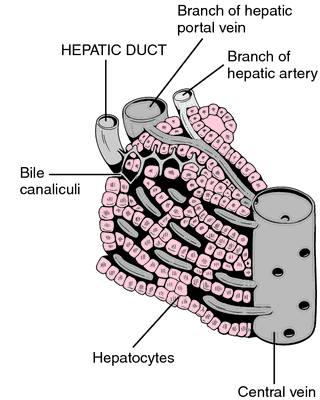 Biliary pancreatic reflux occurs when the bile returns to the pancreatic duct. This patient was diagnosed with chronic pancreatitis at age 53, and has been treated with: cholecystectomy, pancreatic duct stent, sphincterotomy, dietary modification, and Nissen fundoplication for gastroesophageal reflux disease (GERD) which can exacerbate chronic pancreatitis to the acute form, NSAIDs, Tylenol, hydrocodone, and Nexium. Pancreatic leak after pancreatectomy is reduced following main pancreatic duct ligation. Conservative surgery by ligature of the pancreatic ducts has been used, but the results are unsatisfactory because the causal lesion remains intact. Isolated main pancreatic duct injuries spectrum and management. KEY WORDS: Pancreatic trauma, Major pancreatic duct disruption, Pancreatic pseudocyst, Drainage. The study met its primary endpoints, demonstrating that the addition of SecreFlo to MRI resulted in a highly statistically significant improvement in sensitivity of detection of ten prespecified abnormalities of the pancreatic ducts, with minimal loss in specificity. Pancreatic duct ascariasis: sonographic diagnosis-a case report. Helminthic-induced pancreatitis: are we underdiagnosing? In 1920, however, Banting read a paper by the American pathologist Moses Barron, who reported a rare case of a pancreatic stone (lithiasis) that had obstructed the main pancreatic duct of a human cadaver; all acinar cells of the pancreas disappeared (atrophied), but most islet cells remained, results similar to those produced by ligation of pancreatic ducts, as reported in the literature by others (Bliss, 1982: p.
For example, a tumor closer to the head of the pancreas may block the pancreatic duct, causing jaundice.